I wanted to grab some thoughts from you on a possible lesson idea. On the weekend Jules and I worked on some puzzles. After we dumped the puzzles out I would ask her how big will the puzzle be? She would look up, and with that wondering look say …”pretty big” or “not too big,” but nothing exact….she’s only 6. I narrowed the question down. How many pieces would be along the bottom? Along the side? And she would make a guess. We would do the puzzle and then find out. I was thinking about factors of numbers and how that relates to the dimensions. I also thought about optimal dimensions of rectangles given a set area. If a puzzle had 60 pieces what could the dimensions be? 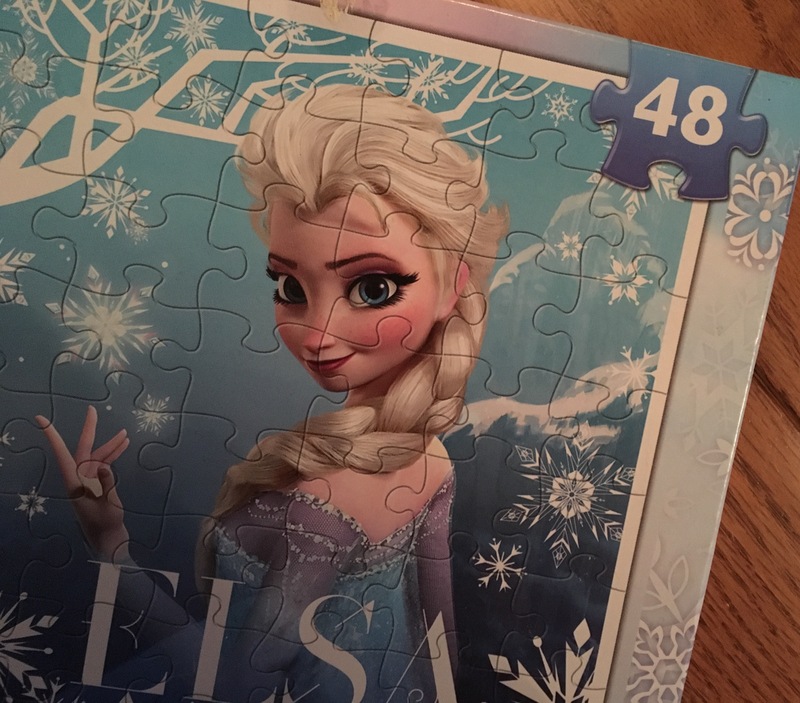 100 pieces? 1000 pieces? Take Elsa for example. With 48 pieces do you know what the dimensions will be? Think of some possible combinations. Got them? And….. bam! Did you think of 8 pieces by 6 pieces? 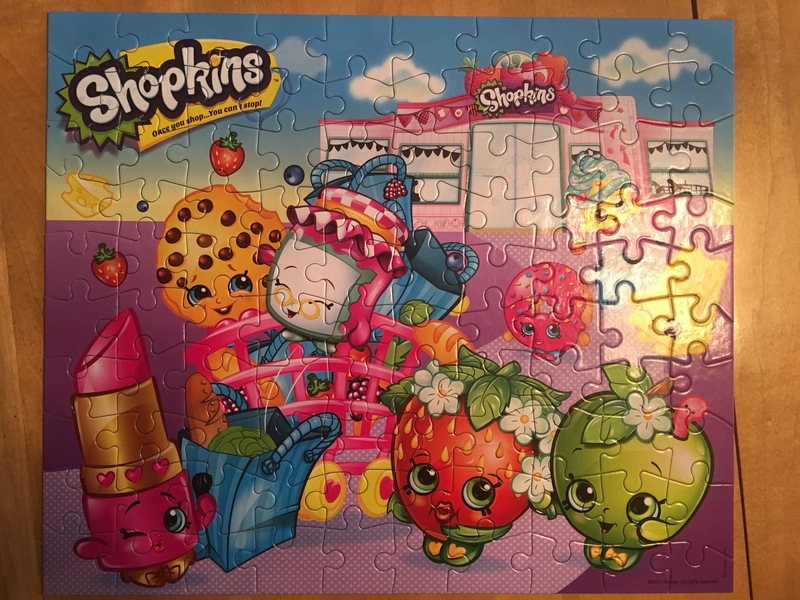 The puzzle we worked on had 100 pieces and it was a 10 piece by 10 piece puzzle. I feel like there is a lesson here but I’m not 100% sure where it fits. It may fit in many places. If Act 1 is a short clip of us putting a puzzle together like below, then how does the rest of the lesson go? How do you see the rest of the lesson play out if you teach Kindergarten? Primary grades? Middle school? High school? I would love to hear your ideas on the lesson goals as well as the lesson format! Together we can do it! What about something like the old cube-with-painted-faces question? 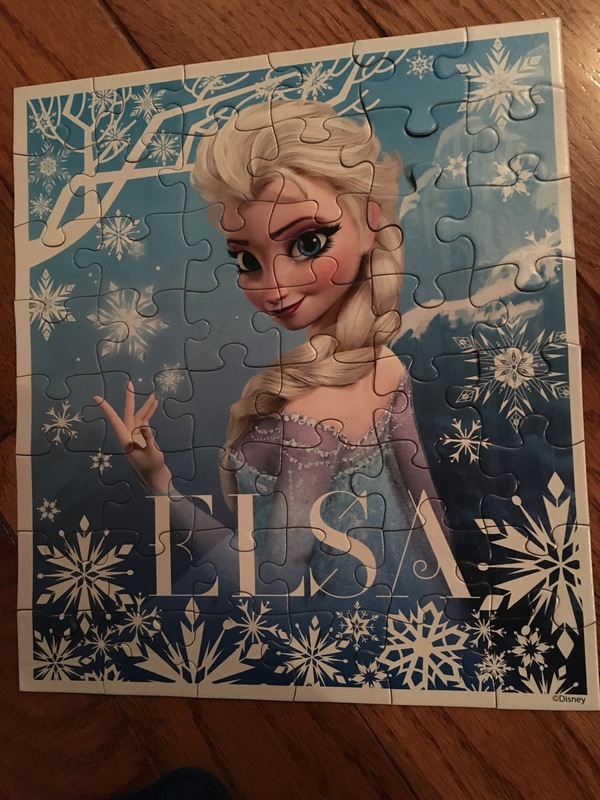 All puzzle edges pieces have a flat edge. Relationship between number of pieces and number of flat edges? Thanks. I knew Andrew had investigated something like this. I couldn’t find a post on his blog.